There's unfortunately no secret shortcut to building muscle and toning your body. But if you're just after the extra strength, not the six-pack abs, the TitanArm exoskeleton lets you cheat your way to impressive feats of heavy lifting. 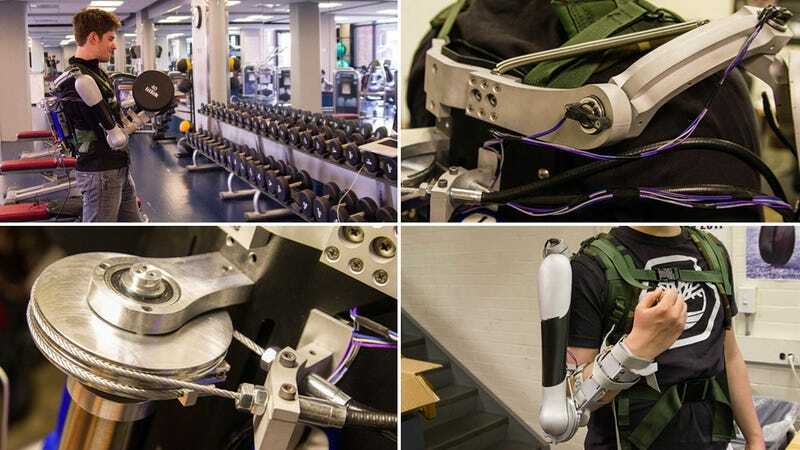 Designed and engineered by a group of students at the University of Pennsylvania who are probably secretly planning to take over the world, the official story on the TitanArm is that it was developed to assist those with limited mobility, and to enhance rehabilitation. Those of us who've seen the Elysium trailer know the real story, though, and the TitanArm's aluminum frame, powerful electric motor, and cable driven system should grant anyone superhero-like powers—at least in their right arm.